« What Are Geniuses and How to Become One? Donald Trump, Bill Gates and Richard Branson all have at least one thing in common, besides the fact that they are all filthy rich it is that they share a similar wealthy mindset. What the majority of people who expect success to happen or come to them do not realize is the fact that it only comes to those who work for it and make it happen. It is a well known fact in today’s business world that the top five percent of the worlds most wealthy people of a completely different mindset than the remaining 95 percent of those who make up the world’s population. Usually this is referred to as a wealthy mindset. What this is, is a frame of mind that the general public does not possess. Anyone can possess this wealthy mindset, if they just believe in it. A lot of living the lifestyle of someone with a wealthy mindset has to do with changing the way that you approach your life. This will help lead you to making the correct life altering choices that you need to make to live this type of lifestyle. All of the success that you will attain in life can be attributed to your mindset. Your mindset will decide your level of self actualization and inner peace and harmony. By living a fulfilled and well balanced life self actualization will come naturally to you. The quality of the life that you live will be a direct result of the choices that you make day in and day out. To achieve the mindset of a happy, well balanced and not to mention, wealthy lifestyle will come from within, but only if you approach it with an open mind. There is a list of characteristics that define those with this wealthy mindset. First, those with this mindset will notice and take full advantage of what they see as a possible new opportunity, regardless of the risk, before anyone else even notices it’s potential. They will see possibility of loss as part of their learning process. They will also have a delayed gratification mindset. They realize that to achieve long term success, that they will have to live through the initial grief. These folks will use figures of speech such as, “I’ll make the time”, “What is it worth to me in the long term” and “If other people can do it, then so can I.” They notice that playing it safe will not bring them the opportunities that make a difference in the long run, seeking out opportunities to develop, excel and achieve their goals. They’re very decisive and unlikely to change their minds, knowing that their decisions will form their destiny and indecision will lead to inaction and unfavorable results. They will also choose their own circumstances taking responsibility for them. Knowing that choosing their own behavior and actions that will support their long term goals for the future. They can always tell you where they will be and exactly hoe they plan to get there. Simply put, they make it happen. Success must be called upon, achieved, it won’t just come to you because you will it to. Having a firm understanding of the laws of cause and effect. You must give, if you wish to receive. Minding their own business, building their own business, they will build leverage earning a residual income. If they fall they get right back up again, in other words if at first they fail, they will persist and try again and again until finally they will succeed. Have money left after their bills to invest into future ventures to continue their success. They will always focus on their quality of life. When they retire, they will want to and succeed in maintaining their lifestyle, able to enjoy their free time and above average health. They understand the concept of team play and common purpose or synergy. Always having a sense of urgency, driven by a necessity to produce results. If you think that you have got what it takes to achieve what these people do on a daily basis, then I suggest that you follow these few simple guidelines to develop your own mindset of wealth. Believe that you can have wealth and success too. If you doubt yourself then there is always the chance that you will overlook many opportunities and sabotage your own efforts for success and wealth. If you don’t believe that you deserve to be wealthy, it is like taking one step forward and two steps back, you’ll get nowhere. Develop a consciousness for opportunity. You must ask yourself how you can improve upon everything around you. How can I make it better, faster, easier and more enjoyable for people, all the while turning a profit? By asking yourself these questions about everyday things around you, opportunities will begin to present themselves to you. By serving other people, you will achieve wealth. Develop your skill set, making yourself more valuable to other people who may be in need of your skills. Organize your time and your life relatively. Make contacts with those who are achievers, network more, put yourself out there more. Stay away from under achievers. Start working on developing a sustainable passive income as soon as you are able to. A passive income is the sort of thing that you set up once and are continuously paid for and rely on. This is the real secret to becoming wealthy. By selling your time or getting paid by the hour, your income is limited, because there is only so much time in the day. The importance of a passive income can not be over emphasized. Visualize yourself with an abundance of wealth, see yourself approaching complete financial independence. It does exist, you just need to take it. You get out what you put in. What I mean by this is, keep negative thoughts out of your mind. Guard yourself from what enters your thoughts. Pay close attention to what other people say to you, making sure to cancel out all negative thoughts. More importantly pay very close attention to your internal dialogue. Especially when it comes to financial matters and your own personal wealth. Listen extra closely to what the wealthy people have to say to you, they can often offer you a wealth of knowledge, if they are dead broke, run away as fast as you can. Think of money as if it were energy. The amount of money that you receive or pay out should always be equivalent to the amount of energy that you expend. If you truly believe that you should be receiving more money, then all that you need to do is to think of how you can increase the amount of energy that you put into your efforts at the same time delivering more value. Just remember that wealth does not discriminate, you can become as wealthy if not more so than anybody else. With the previously mentioned tools at your disposal, nothing can stop you. One thing that my father always told me and I didn’t understand it completely until I got a little bit older and that was, work smart not hard. Share Policy: We encourage people to share articles that are posted on Mind Power World. You may either share the page link, or you may repost the full content or parts of it, with proper attribution and a link back to the place it is written for. Please also try to preserve all embedded links if possible. The SHORTEST Path to Getting Everything You Want In Life is by finding information that explains how the universe works. Click here now to discover how to become a Mind Reality Member! Mind Power Gift for You! 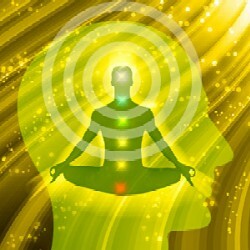 Click Here to Get Your Mind Power Gift! Click to visit the Great Genius Website! Get connected with Mind Power World on the Mind Reality Facebook Page! I will post Mind Power Secrets here!